People keep migrating, whether for economic opportunities, personal safety, adventure, or business. If you are moving from one country to the other, you might want to travel with your possessions, including car. To ship your car overseas, you need to hire an international car shipping company. Before you make the move, it is important to know all facts relating to international car transport. To help you get acquainted with the basis, we bust four myths related to international car shipping. Let’s begin. 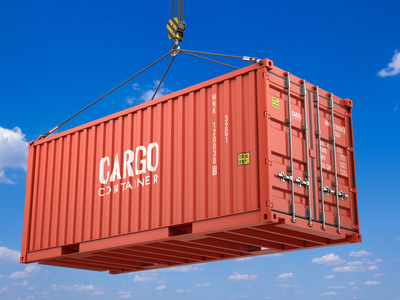 You need to know that one 40ft container can fit between 2 to 4 vehicles depending on the vehicle size. So, if you are shipping an SUV instead of a compact car, you may have to bear more charges. Whether and what taxes you have to pay depends on your traveling status and numerous other factors. If, for instance, you are returning to your country, you can ship one vehicle (registered in your name), without having to bear any taxes. When you partner with EasyHaul, we handle U.S. customs for you, making our services cost-effective than most others. You can load certain items such as auto parts within your car when shipping it internationally, but you cannot ship just any item. Chemicals and fluids are generally not allowed. Also remember that the driver’s seat usually has to be free of any load; and the view of the mirror and the rear view window must not be obstructed. When you hire EasyHaul, you can send your car parts to our warehouse, which we will then load in the ship along with your vehicle. False. You can authorize a person on your behalf to take the delivery. Till the time you or the authorized person is unavailable, the vehicle remains in the storage facility. Make sure if you authorize a person to pick up the vehicle, you communicate this to the international car shipping provider you have hired; otherwise, you may have to bear additional fee. The authorized person may also be required to show their identity when picking up the vehicle. Whether you have to bear any damage costs to your vehicle during shipping depends on the service provider you chose. If you hire the services of an international car shipping provider who has partnered with uninsured and unbonded carriers, you may have to bear the cost. That’s why EasyHaul partners with insured and bonded carriers, who use an array of equipment such as enclosed trailers to make sure your vehicle is safe during transit.